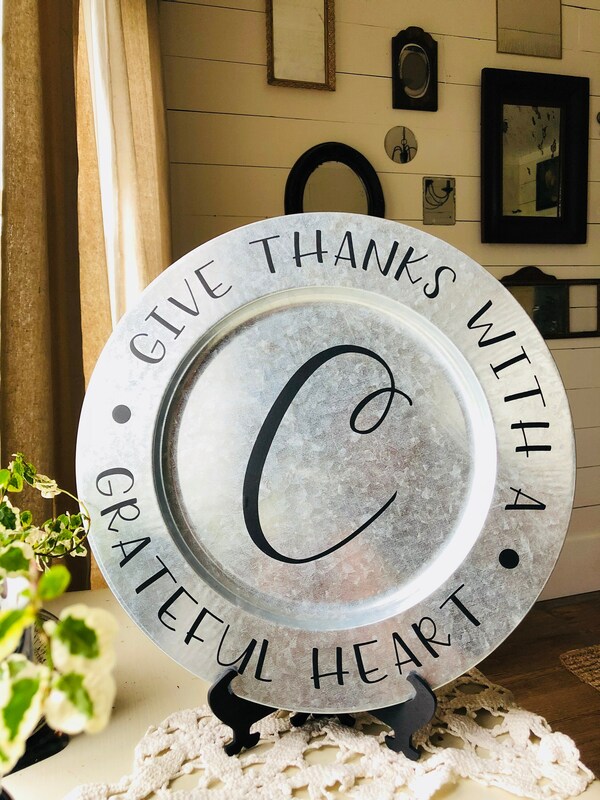 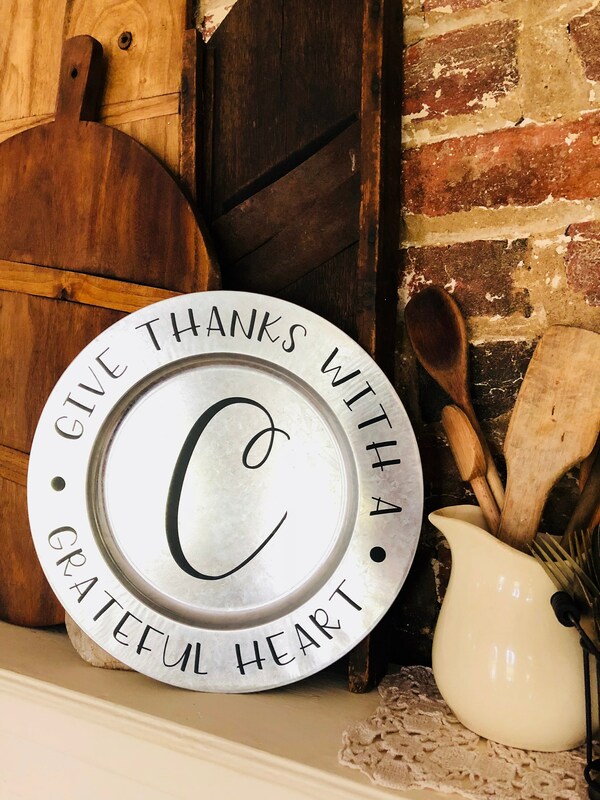 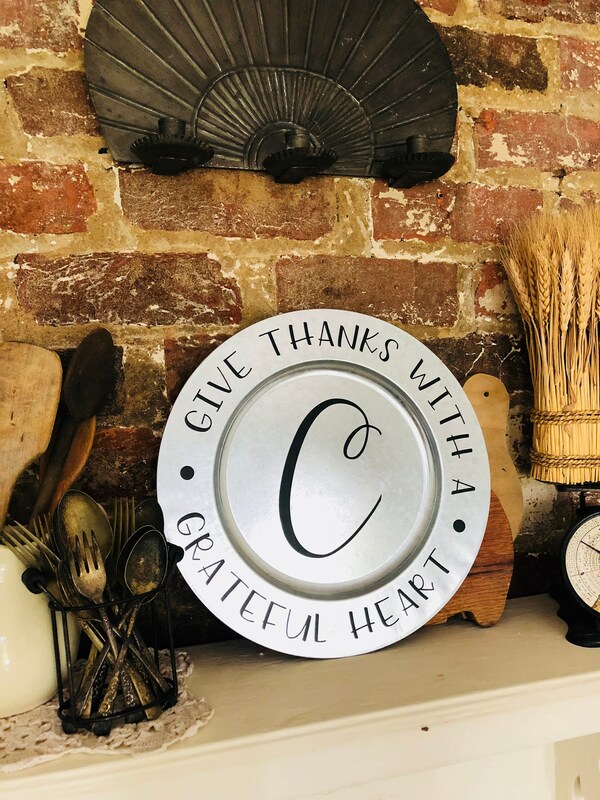 Give Thanks With A Grateful Heart metal charger plate with initial. 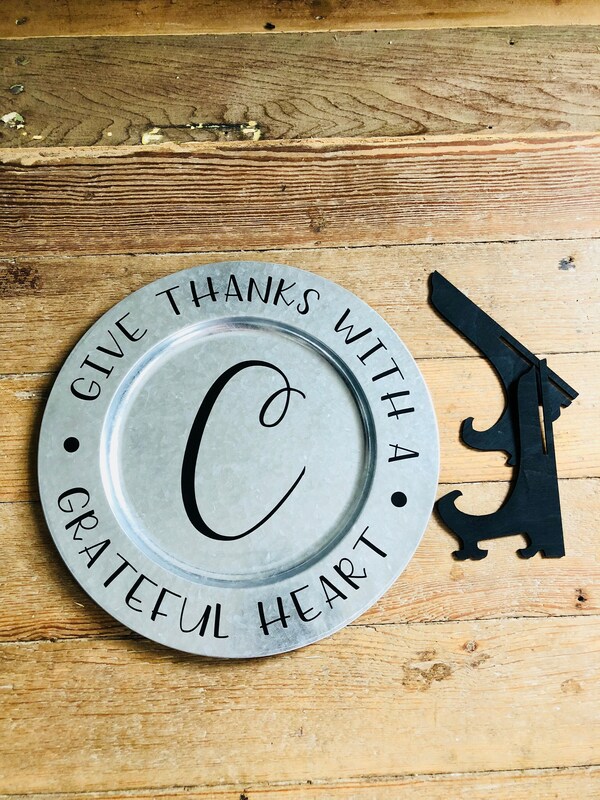 Perfect for your Farmhouse Thanksgiving. 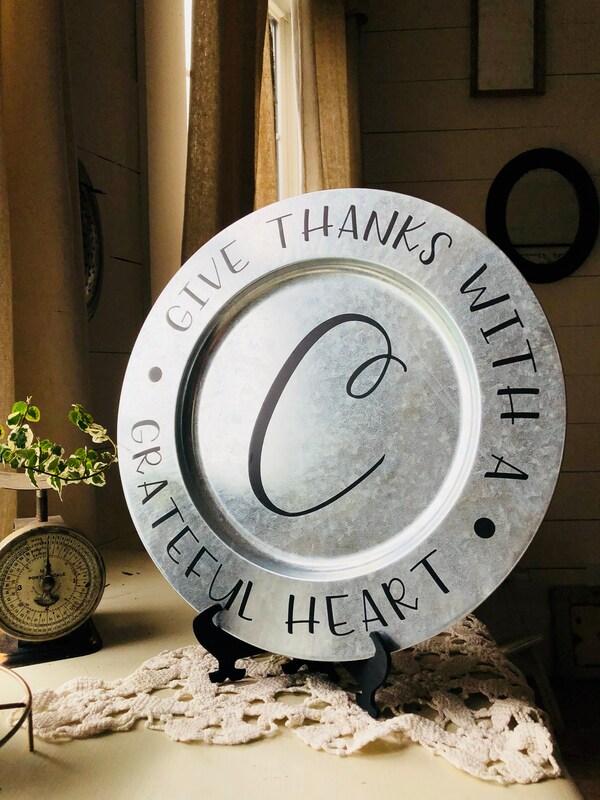 Please select initial to be added upon checkout..